A reflection by Fr. Joseph Young, S.F.M. (1934-2006), published in Scarboro Missions magazine, September 1987. Decisions to limit refugees’ access to our country is essentially a matter of hospitality. 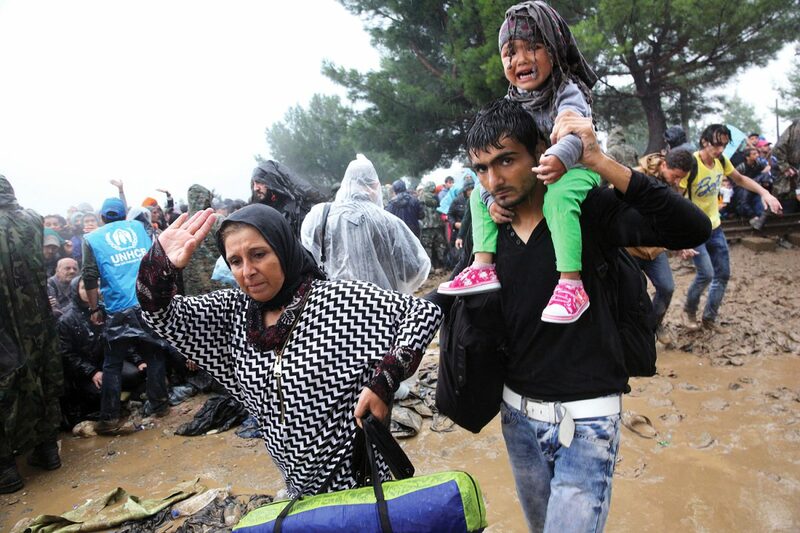 For the refugee, however, it is often a matter of life and death. How do we react to such decisions? What is our basic attitude in these matters? In our world, entertaining guests is an optional practice. But for the refugee, if not given hospitality, the result may mean death. People in struggling nations are known for their hospitality. We who have had the privilege to live in or visit these countries are often surprised by the friendship and welcome we receive. People with very few worldly goods will gladly do without to give to any guest and the guest is treated as a member of the family. If one looks at the state of the world today, both at home and abroad, the problems we face are enormous. Yet we must believe in God’s love for us and we in turn express that love in action through hospitality. In the Gospel, people act in God’s name. God becomes dependent upon human cooperation. This is profoundly radical and it comes from Jesus Christ himself. Jesus tells us that because of our lack of cooperation we can frustrate God’s designs for the good of the universe. Most people of faith feel the need for God, but Jesus tells us that God works in such a way that God needs us. Many of Christ’s miracles depended upon the faith of the recipient. To the extent that we withhold our living faith, we have the power to render ineffective God’s plan. It is of interest to us as Christians to note that the work of Jesus and the spread of the early Church was facilitated by the common practice of hospitality. Jesus had no home and was frequently a guest. Canadians have over the years demonstrated great generosity towards strangers from other lands. We must encourage this tremendous witness to the presence of the homeless Christ. We do well to ponder Jesus’ words: “’For I was hungry and you gave me food; I was thirsty and you gave me drink; I was a stranger and you made me welcome; naked and you clothed me, sick and you visited me, in prison and you came to see me.’ Then the virtuous will say to him in reply, ‘Lord, when did we see you hungry and feed you; or thirsty and gave you drink? When did we see you a stranger and make you welcome; naked and clothe you; sick or in prison and go to see you?’ And the King will answer, ‘I tell you solemnly, in so far as you did this to one of the least of these brothers of mine, you did it to me’” (Matthew 25.35-40).